Bakes eggs are such a fabulous way to kick start the day when you have a few minutes to spare. They are also a great way to line the stomach before Christmas festivities take over and the booze starts to flow freely! Use this recipe as a basis and tweak by adding extras if you like. Baked eggs are forgiving and most things will work. 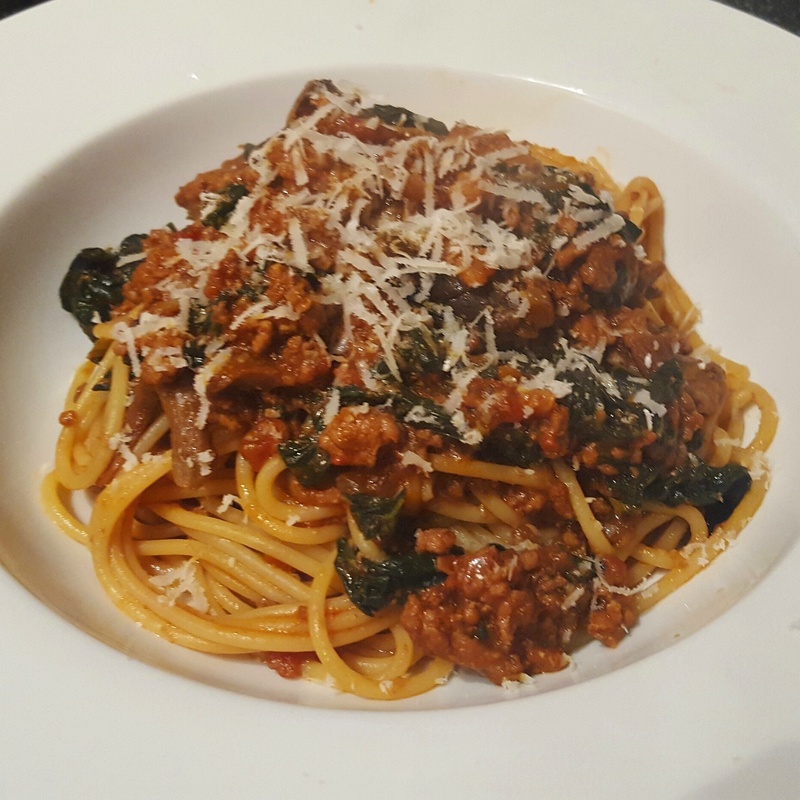 I have used red pepper paired with red onion, garlic and nduja to spice things up. I often include a bit of greenery such as spinach and this is also delicious. Ingredients such as chorizo, kale and feta also work really well so get experimenting. You can bake these in individual ceramic dishes or one larger one so everyone can dig in!. I like to serve my eggs with fresh sourdough bread so read on and get cooking! 1.Preheat the oven to 190c/ 170 fan ready for the eggs in a short while. In the meantime, get going with the sauce. Take a saucepan and heat a glug of oil over a medium heat. Add in the garlic and onion and cook for a few minutes until softening nicely. Pop in the pepper, nduja and oregano and cook for a further couple of minutes. Add in the tomatoes and season well. Simmer for a few minutes before placing the sauce into one or two ovenproof ceramic dishes, depending on if you want to make individual portions or one sharing dish. Crack the eggs into the middle of the dishes and cook for around 10 minutes until the egg white is set and the yolk is soft. Serve with lightly toasted sourdough and get dipping! 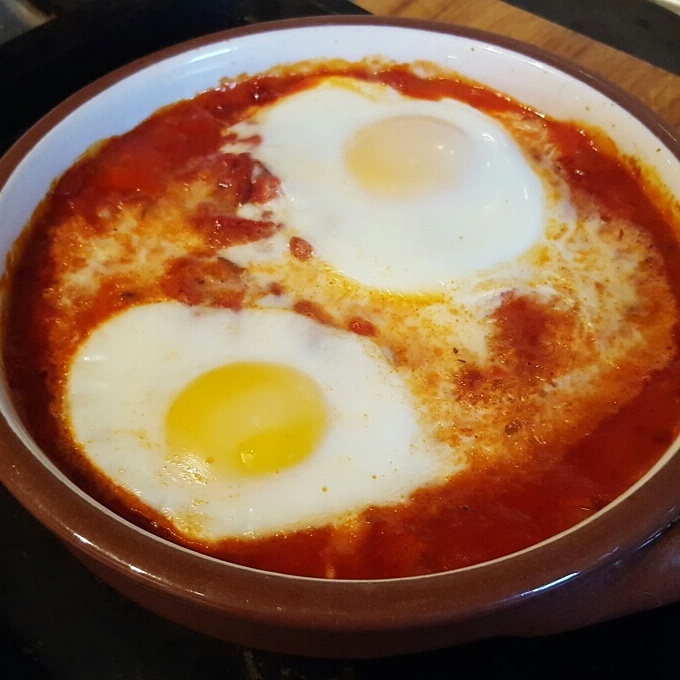 Spicy baked eggs- perfect for a little festive indulgence! If you think that slow roasting meat means having to be tied to the oven all day then think again! 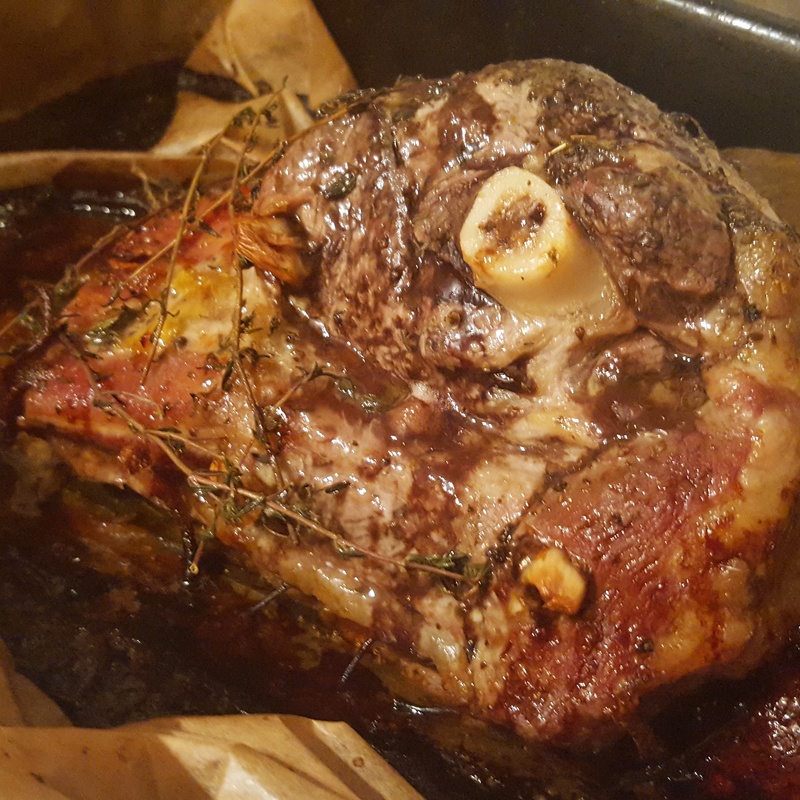 Lamb shoulder is the perfect cut to pop in the oven whilst you carry on about your daily business before coming back to it later when it’s tender and succulent. 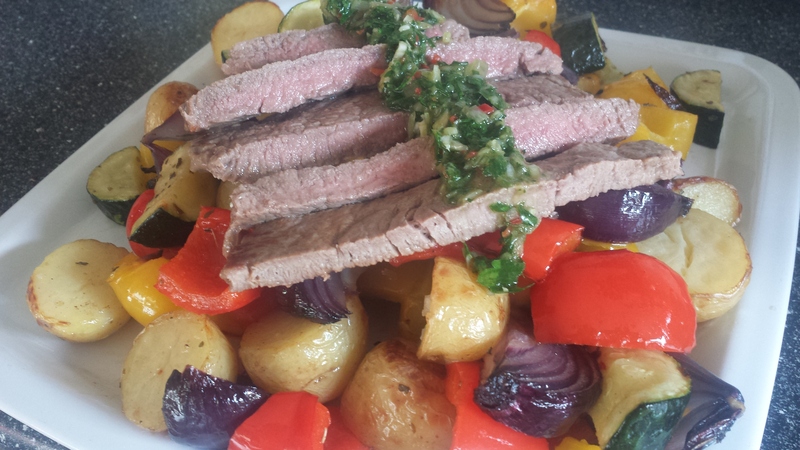 Slow roasting brings out the best of the flavour whilst keeping ingredients simple and fresh. I used half a lamb shoulder which will comfortably feed four but if you have more people to serve than buy a whole shoulder and adjust the cooking time accordingly. Remember that lamb tastes better if you have time to marinade it in advance but also don’t keep it in the fridge up until the minute you want to cook it- let it rest at room temperature for about an hour. 1.Start the day before if you can so the flavours of the marinade get plenty of time to work their magic. Peel the garlic cloves and cut into halves or thirds, depending on their size. Make incisions into the lamb and slide a piece of garlic into each one. Rub the herbs, oil and seasoning into the lamb all over. I then pared some lemon zest and scattered it all around the lamb before squeezing over a little of the juice. Cover the lamb and pop in the oven to do its thing! 2. When you are ready to cook, bring the lamb up to room temperature and preheat the oven to 200c/ 180 fan. This may seem like a high oven but this is only for the first stage of cooking so don’t despair! Transfer the lamb to a roasting tray with its lemon and all and place on parchment paper. Bring the sides of the paper up before sloshing in a glass of white wine (you could also use water) and wrap loosely. Cook at 200c/ 180fan for 10 minutes before lowering the oven to 150c/ 130fan. Check the timings on the lamb you buy but for half a shoulder you are looking at around 2 1/2 to 3 hours. Some recipes will tell you uncover the lamb for the last hour of cooking but I don’t find this is necessary and I prefer to keep it covered to look in all the flavour. When the lamb is ready the juices will run clear. Allow to rest before carving and enjoy with roasted potatoes and vegetables. Keep an eye out for little slivers of beautifully sweet roasted garlic- don’t waste them! Slow roasted lamb with garlic, lemon and herbs- a perfect recipe for a lazy Sunday afternoon! 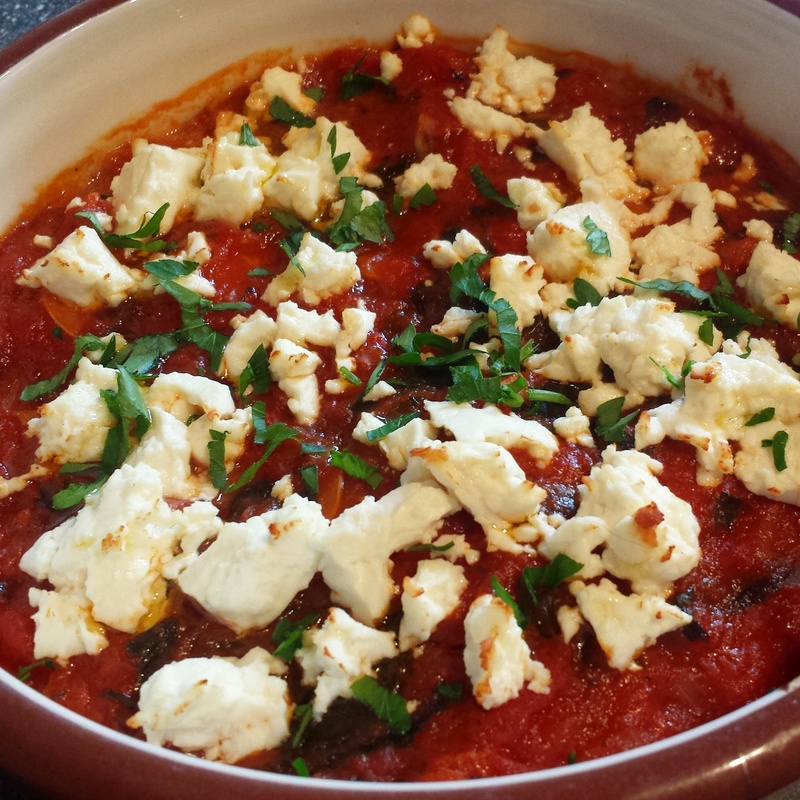 Herb and chilli baked feta has to be one of the speediest starters around! We all know and love baked cheeses like camembert but this gives a Greek twist. Feta is the perfect baking cheese as it heats well and keeps its shape whilst retaining it beautiful saltiness so get reading and get cooking. You may also like to try using flavoured oils for this too such as garlic or lemon and thyme. 1. Preheat the oven to 180c/ 160 fan. Place the feta block in a small ovenproof baking dish or alternatively place on a piece of foil with the sides lifted to contain the oil. Combine the oil, chilli and herb and pour over the feta. Bake for around 15minutes until the feta is warmed through. Spread on fresh bread and enjoy! 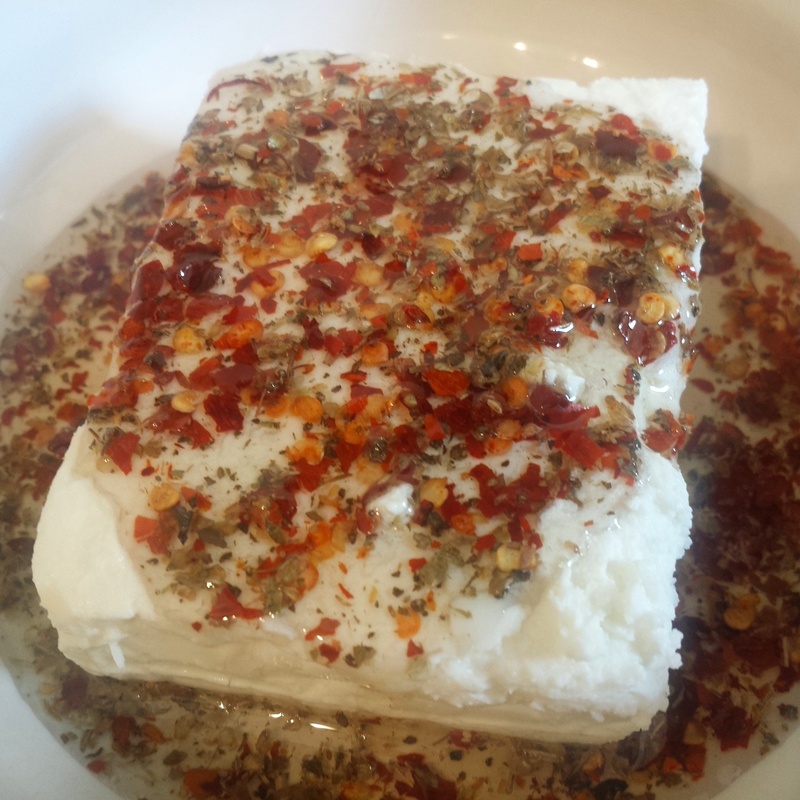 Herb and chilli baked feta- so easy you can cook this in your sleep!